Your morning cup of coffee may be doing you more good than just perking you up before work. At one time or another we've all heard that drinking coffee is bad, stemming from reports on how it negatively affects the digestive system, raises blood pressure, wreaks havoc on the nervous system, and contributes to the development of a slew of unsavory conditions. Anyone who has ever slurped down a little too much coffee can attest to at least some of these claims. Like anything else, coffee is best consumed in moderation, but what does science say about coffee drinking and liver disease? In the last several years, through groundbreaking research, scientists have ushered in a new way of thinking about coffee in regard to health and wellness. Wait?! What?! Coffee is good for me?! Liver enzyme tests (Liver Function Tests) are routinely performed. When these tests come back showing elevated liver enzymes, it is sometimes an indication that the liver is experiencing distress or is not functioning properly. This is more common than one might think. The first stage liver disease includes the conditions NASH and NAFLD (fat accumulation in the liver not caused by alcohol or drugs) and these conditions are on the rise in the U.S. This is primarily due to inadequate diet and/or exercise. Recent studies have shown that coffee drinking is associated with regulated liver enzyme levels among other health positive contributions. You might be thinking, Wait?! What?! Coffee is good for me?? As stated by the Centers for Disease Control and Prevention (CDC), liver cancer is the ninth leading cause of cancer deaths in the U.S. and the third leading cause of cancer deaths worldwide. Conditions often observed in obese individuals such as NASH, NAFLD, and diabetes are known and common risk factors for liver cancer. That said, according to findings published in the February 2012 release of Hepatology (American Association for the Study of Liver Diseases) coffee consumption is associated with a decreased risk of fatty liver and hepatic fibrosis. Some great news for coffee lovers: researchers from Italy have demonstrated that coffee drinking reduces the risk for liver cancer by almost 40%, and the risks are reduced by more than 50% when three cups are consumed everyday. 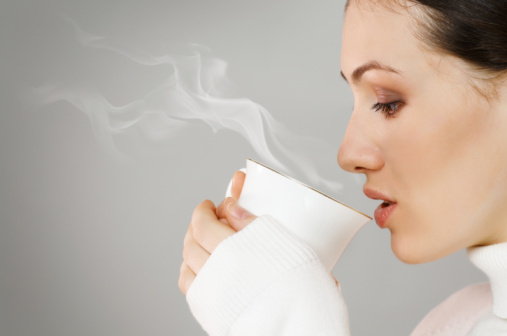 Building upon these revelations, researchers began to investigate what role, if any, caffeine had to play in the regulation of liver enzymes and other essential bodily systems.The National Cancer Institute recently reported that both regular and decaf coffee drinking produce positive results, hence absolving caffeine from the investigative forefront. The study, administered by data from the the U.S. National Health and Nutrition Examination Survey (NHANES), included over 27,000 participants who were asked to consume regular or decaf coffee or to abstain from coffee altogether. It was found that those who consumed three or more cups of regular or decaf coffee in a 24 hour timeframe had lower liver enzyme levels than those who did not drink coffee. It is speculated that certain substances found in coffee, such as cafestol and kahweol, might be responsible for some of the benefits, however; more research is needed to conclude this definitively. Science will continue to investigate the therapeutic benefits of coffee in attempt to pinpoint the components that contribute most beneficially to maintaining health. Once these components are identified, it is likely that the development of products containing them (without the jittery side effects) will ensue. Until then, feel free to suspend your previously held beliefs about coffee (both the regular and decaf varieties) and enjoy every moment of that morning cup.. or three!